Features and Benefits: Incredibly strong and soft, durable and gentle on the skin. 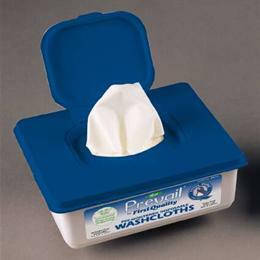 The specially designed single-hand dispensing tub keeps moisture in and eliminates cross contamination. Dispenses one at a time for less waste. Alcohol free wet wipes, containing aloe and lanolin to improve skin care and comfort.